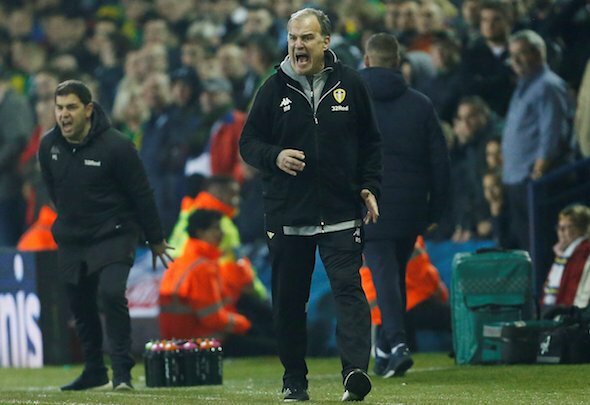 Leeds fans have fallen in love with Marcelo Bielsa this season. It’s not surprising. He’s taken their club to the brink of a return to the Premier League for the first time since they were relegated from the top-flight in 2004. They’re now three points ahead of Sheffield United in third with four games left to play. The play-offs are a lock but fans want to go up the easy way. He’s completely turned around the club’s fortunes and his holistic approach has seen a successful foundation built in the Under-23s too. If they go up, he surely stays, but questions have been asked about what he’d do if Leeds stayed in the Championship. Phil Hay, senior reporter at the Yorkshire Evening Post, said he was told that Bielsa would only stay up if Leeds for promoted. However, a recent interview with his brother and lawyer, Rafael Bielsa, has given Leeds fans hope that their hero will stay even if the worst happens. Talking in lacapital.com he said, “Marcelo can not go back to Newell’s because he has a contractual problem. I made the contract. If he does not go up to the Premier League, Leeds have the option to keep him. And if they go up, it is mandatory for both parties to stay. “To come back I would be breaking a contract and my brother is not doing that… I can not imagine Marcelo breaking a contract. He never broke it during his career. If true, that’s great news for Leeds fans. They’ll be distraught if they don’t go up now – either by finishing in the top-two or through the play-offs. But that would be tempered if Bielsa stayed for another season. Of course, with a manager like Bielsa it will all come down to what he wants to do. Leeds won’t stand in his way if he’s desperate to leave. But he seems committed to the Leeds project and the fans are certainly committed to him. And his brother’s comments suggest that whatever happens, Bielsa-ball will live on.